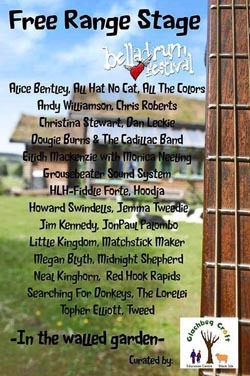 The Lorelei will be back at Belladrum for Tartan heart’s 10th anniversary. Our appearance on the Free Range Stage will be our 3rd year playing at one of our favourite festivals since we pretty much reformed there in 2005. Get yourselves along to see us at 9pm on Saturday 3rd August if you were fortunate enough to get tickets. Visit their website to see who we will be performing alongside and for all your festival needs.